Straight from the streets of Philadelphia comes a poppy sludgefeast for the ages filled with heavy guitar riffage and thick, oozing synth lines. 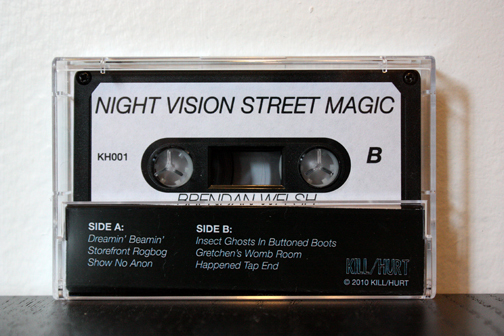 Brendan Welsh records his jams at home, but don’t expect this to be your typical living room album — this EP slays as hard as A Place to Bury Strangers chilling with Spacemen 3 in Lou Reed’s backyard. 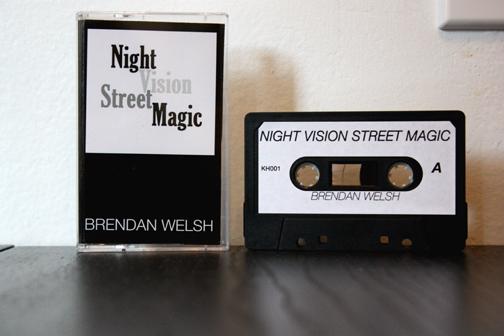 Night Vision Street Magic comes in a beautifully packaged, limited edition black c28 cassette. We only pressed 50 copies of this stellar six-song EP and each is individually hand numbered. 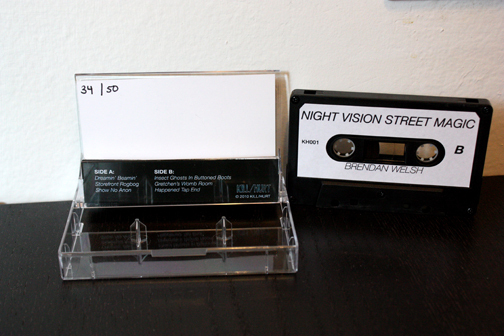 As an added bonus, everyone who purchases a tape online will receive a free MP3 download of the album via email. Browse the Release archive. This entry was posted in BRENDAN WELSH, Sold Out, TAPES.